How can you get the most out of LinkedIn Groups? Are you even on LinkedIn yet? Be most effective by creating your LinkedIn profile according to my Gigantic Tips Guide for Finding Jobs With LinkedIn. Then come back here for the LinkedIn group tips below. Contact people directly without having LinkedIn's paid Premium membership. This is a great way to reach out directly to past employees of a company you're targeting. What kinds of groups can be useful for job seekers? Groups dedicated to job seekers, especially ones that are local to the area where you'd like to work. Groups dedicated to your industry, whether from a professional or business point of view. Groups dedicated to industries that hire people like you. For example, high tech companies don't only need programmers and engineers to function. Groups for entrepreneurs, a natural place for them to announce hiring needs. Groups for venture capitalists and other business investors, because companies that get funded are companies that hire. Groups for open networkers. Although the benefits of being an open networker are questionable, having a large list of connections you don't know can still help your job search. Among other things, these groups help open networkers grow their network even more. Have a good LinkedIn profile – It's very natural for people to click through to your LinkedIn profile from messages you've posted in a group discussion. Make sure your LinkedIn profile impresses them by following my gigantic LinkedIn tips guide. Join many groups at first, then filter out – try many groups initially, covering all the types I mention above, and then remove the ones that you don't find helpful over time. Find groups via your connections – visit your connections' profiles to see which groups they're members of. Find groups via the Groups search – the search is based on the group name, so the word ‘job' will only find a fraction of job seekers' groups (for example). Use LinkedIn Answers to ask for group recommendations – in a LinkedIn question, explain your current goals for LinkedIn group usage. Be as detailed as you can to get the best suggestions. Use Power Networkers' profiles to join many groups quickly – find people who are members of many groups like Randy Bailey and use the group icons in their profile to quickly join groups. Size doesn't matter – just because a group has few members doesn't mean you shouldn't join. Groups will grow. Also, it's easier to be noticed in a smaller group. Keep your personal branding in mind – when you join a group, LinkedIn will ask you if you'd like to display the group's icon on your profile. Only do so if the group is relevant to your personal brand. Follow your favorite groups – upon joining, LinkedIn will also ask you if you'd like to receive email digests of the group's discussions. Use this option to stay on top of the groups that matter to you. Don't spam yourself – avoid receiving email digests for every single group you're a member of, especially if you only joined to have the badge on your profile. Participate in the groups with the most potential – become an active member so that group members become familiar with you and will think of you when they see relevant openings or need to hire. If you become so active that you visit the group page every day, unsubscribe yourself from the email digests. Avoid duplication – some jobs are cross-posted to multiple groups by the same recruiters. Once you see this repeatedly, unsubscribe from the email digests of one of those groups to avoid getting the same job postings in your inbox. Create your own group – If you can't find a group, consider creating it. Often, many people search in expectation of finding a group and when they don't, they move on. If you think this is happening for a group you expected to find, why not just create that group and have something for people to find? Here are some great tips for creating and managing a LinkedIn group which can also be a great way to reinforce your personal brand. Complain about abuse – contact the group moderator if you think someone is abusing the group. Group managers can remove members and even block them from joining again. Promote your website when you can – end each of your discussion posts with a signature and your blog/website link. Some groups consider this as advertising and disallow it, so check your group rules first. Invite people to connect with you – whether you're an open networker or not, you can still post a message with your email address inviting group members to connect directly with you. This is sometimes frowned upon as a form of LinkedIn group spam, so make sure your group allows it. Of course, one sign is that other members are posting invites. The JobMob LinkedIn Group is growing as a place for members to connect with each other and share job leads. For a great read about success with LinkedIn in general, check out my friend Jason Alba's book I'm on LinkedIn: Now What? And if you liked this article, you'll also enjoy my First Review: Using LinkedIn Applications to Show Professional Job Success. This Just In!! Not All Social Media Has Utility or Functionality!!! Join the group! 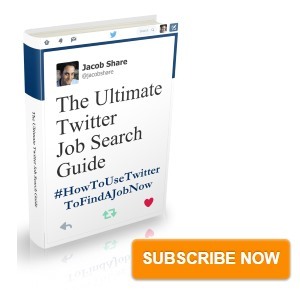 Subscribe to JobMob via RSS or email and follow me on Twitter for the best tool tips on your job search. You write with such great detail. Easy to read and always great, practical advice. Best to you . . . I have a different perspective to that of the article as I don’t find that the linkedin groups promote discussion. 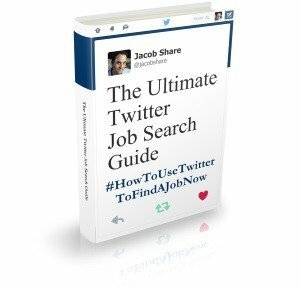 They are good for people to publish job vacancies and people searching for jobs. With few exceptions, however, I don’t find that people respond to comments or job applications which makes it the same as any other web site. It is useful, however, to link to people in linkedin if you share groups so from that point of view the linkedin groups are good. All the above is my opinion based on my being a member of a number of linkedin groups. This is very helpful. I really appreciate the step by step approach. Tim- glad you liked it. Thanks for the mention on your blog. Hessel- I agree with you that LinkedIn’s group discussions are still not as useful as other forums, but the response frequency is usually (but not only) a question of the type of people in a group. To me, this is just another criteria of which groups are worth following or not. Amazingly, most of this information is still useful and current even though the post was written years ago.